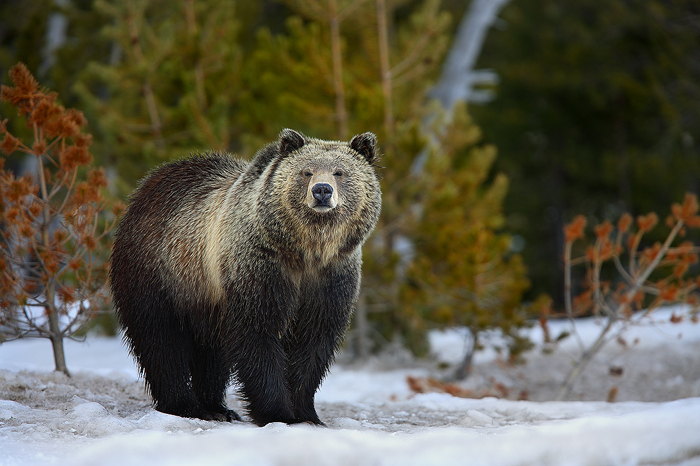 Grizzly bears are sometimes referred to as "silvertip" because of their silver tipped fur. This is one feature that easily distinguishes grizzlies from the smaller black bears that they share territory with. I've photographed many grizzlies in Yellowstone, but this one was, in my opinion, the most beautiful.